Are you job hunting or considering a new role? As I mentioned in my post How to Ace a Job Interview, Every Time, in most cases, your interviewer(s) will be asking you behavioural questions. These are questions about how you behaved in different situations in the past. The thinking is that this allows you to demonstrate your thought process, attitude, experience, and results. It also helps them envision how you may fare in the role in question. 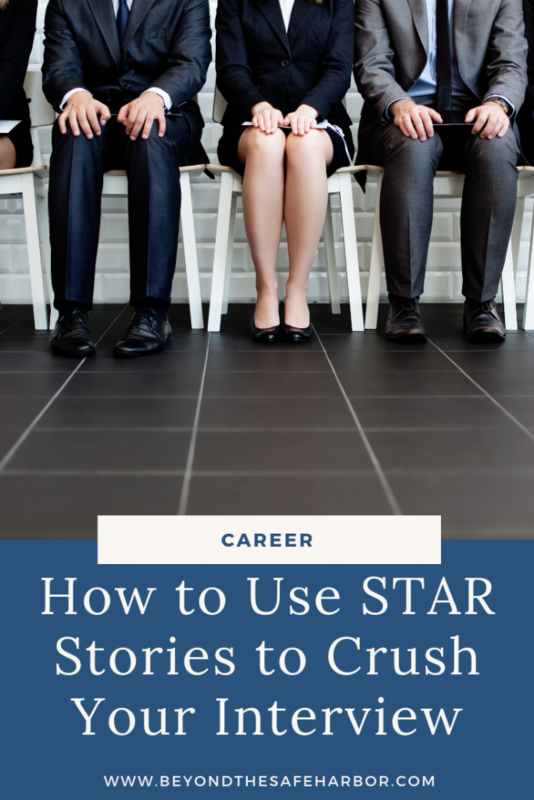 One of the best ways to prepare for these questions is to identify and polish your STAR stories. These can be a fantastic tool for answering behavioural questions, and showcasing your experience and thought process. While the name may sound a bit childish, the concept of a “STAR” story is a great tool for remembering and articulating these answers. It’s something we were taught in business school, and it’s worked really well for me. Essentially, you want to answer behavioural questions by summing up 4 key things, which we’ll cover now. No, not Mike “The Situation” from Jersey Shore! The situation you found yourself in at work. This is a few sentences about the circumstances at play. For example: “In the middle of our busiest time, half our team left the company unexpectedly and we had to still finish all of the deliverables on the same schedule.” Do you see how that sets up the situation and gives some context? This is the task at hand – what you needed to accomplish. So in our example, it could be something like “We had to complete business planning in 4 weeks, but with half the man power.” You would probably want to build on that a little more, but you get the picture. Action is all about what steps you took to achieve your goal. And it’s important to focus on what you did, versus your team. This shows your thought process, and the concrete actions you took in a particular situation. I’d recommend writing down (even in point form!) five to eight STAR stories from your past that you can draw on. These should be times where your action and result were positive or where you can spin them in a positive light. And ideally, your STAR stories as a whole should be able to speak to different potential questions. Lastly, you may want to also jot down what types of strengths or skills each STAR story applies too. For example, next to a story like the example above, you may write “Resiliency, working with fewer resources, taking ownership, leadership”. This will make it easier for you in the interview itself, once you get a question, to decide which STAR story to share as your answer. And it showcases how you can use that same answer to a number of different questions. I hope these tips are helpful in preparing for your interview! Be sure to check out my post How to Ace a Job Interview, Every Time for more advice. When it comes to job hunting, do you have any success tips to share? Let us know in the Comments section below!